Online Shop – Churchill Island: History and Her Story – Friends of Churchill Island Society Inc.
You can use this form to submit an online order for goods available from the Friends of Churchill Island Society (FOCIS). After you submit your order, you will asked to pay for your purchases online. You do not have to be a member of the Society to place an order. 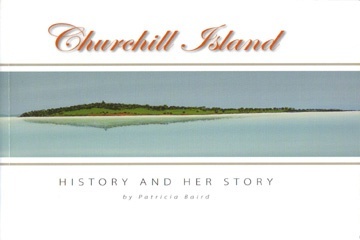 Description: This is a refreshing new look at the history of Churchill Island. Patricia Baird combines the archives, the local papers, previous histories and genealogies. She has brought new facts and stories to light. She has also spoken to those still living in the local area, who remember the goings on and changes at the island, or who are related to former inhabitants, and the memories of these folk turn Baird's account into a living history. Baird also gives voice to the female voice which was so often absent in the records. At the end of each segment, she chooses a woman, who sometimes is barely mentioned in the record, and gives her a story, letting her speak for herself. A paperback book of 104 pages illustrated with drawings. "I came to live on Phillip Island in 1989 after having spent a lifetime of holidays there. A habit of recording thoughts and feelings developed into writing family history (Dear Aunt Emma, published 1992), and this led to publication of my second book, An Unlettered Girl, Her Life on the Gold Fields in 2000, a novelised version of my great grandmother's life. In 1996 I became a Volunteer Guide at Churchill Island where the writing muse became engaged by those who had lived there in the past, particularly the women, and how they lived their daily lives. Churchill island History and Her Story began to take shape in my mind, interrupted for a few months by a commission to write the text for the Churchill Island Visitors' Guide. Churchill island History and Her Story is my attempt to evoke earlier days and ways, so that later generations may gain some idea of the different way life was lived in simpler times." In 1996 1 became a Volunteer Guide at Churchill Island where the writing muse became engaged by those who had lived there in the past, particularly the women, and how they lived their daily lives. Standard Postage means 2-3 business days to most locations. Express Post means next business day for most locations. Standard Postage means 5 business days to most locations. Express Post means 3 business days to most locations. Express Post means 4 business days to most locations. Standard Postage means 6 business days to most locations. Standard Postage means 7 business days to most locations. Express Post means 5 business days to most locations.